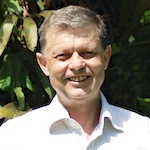 Based in Australia, Andre Leu is the President of International Federation of Organic Agriculture Movements (IFOAM), the world umbrella body for the organic sector. IFOAM has over 800 member organizations in 120 countries. Andre has an extensive knowledge of farming and environmental systems across Asia, Europe, the Americas, and Africa from over 38 years of visiting and working these countries. 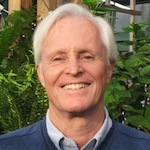 He has written and published extensively on many areas of organic agriculture including climate change, the environment, and the health benefits organic agronomy. Business executive with over 40 years in the Natural/Organic Foods and Grocery Industries — the last 23 at Whole Foods Market overseeing Purchasing, Marketing and Distribution. Experience includes retail, distribution, sales, manufacturing, product and business development. Serial entrepreneur founding successful retail, sales, manufacturing and restaurant companies. Recognized industry expert who has spoken before congressional committees and at universities, professional and environmental conferences. 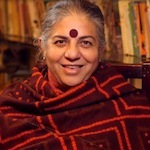 Dr. Shiva is a scientist, philosopher, feminist, author, environmentalist, activist, and advocate for bio-ethics, eco-feminism and biodiversity. She holds a PhD in nuclear physics. Dr. Shiva founded the organization Navdanya to protect the diversity and integrity of living resources in India—especially native seeds—and oppose intellectual property/patent laws of the World Trade Organization. Dr. Shiva launched Diverse Women for Diversity to support the intimate link between biodiversity and cultural diversity. She was also one of the original tree-huggers with Chipko Group of Indian women protecting trees from loggers. Dr. Shiva received the Right Livelihood Award—the “Alternative Nobel Prize”—for her work in with women, ecology, and international development. She is the author of more than 300 scientific papers, articles in technical journals, and books. 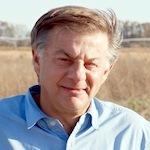 Steven Apfelbaum is the CEO and Senior Ecologist at Applied Ecological Services, a global land restoration company. He is considered one of the leading ecological experts in the U.S., providing technical restoration advice and win-win solutions for ecological/land development conflicts. Aside from overseeing more than 1500 projects worldwide, Mr. Apfelbaum has authored technical studies, peer-reviewed technical papers, books, reports, ecological restoration plans, and regulatory monitoring and compliance reports. 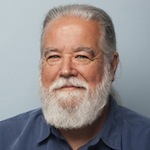 Steve is public speaker on ecological restoration, ecosystem assessment, alternative stormwater management and conservation development, and teaches at Harvard and the University of Wisconsin. James Gustave Speth founded the World Resources Institute (WRI), is co-founder of the Natural Resources Defense Council (NRDC), spent a decade as Dean of Yale’s School of Forestry and Environmental Studies, and was Administrator of the United Nations Development Programme and Chair of the UN Development Group. 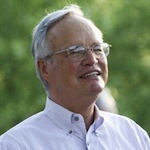 An attorney, Gus worked in the Carter Administration as Chairman of the US Council of Environmental Quality, and presently sits on numerous boards, including Climate Reality Project, 350.org, EcoAmerica, the Heinz Foundation, and the NRDC. Presently Gus is a Professor of Law at Vermont Law School, a Distinguished Senior Fellow at Demos, Associate Fellow at the Tellus Institute, and Senior Fellow at The Democracy Collaborative. Richard works as a Range Ecologist at Texas A&M’s AgriLife Research Agency. His focus is on holistic management practices and rotational grazing on soil restoration and soil health for livestock, and he is considered a leader in the field. He grew up in Zimbabwe and received his Ph.D. in Botany-Ecology in South Africa. His previous areas of research included on grazing management systems and brush control on semi-arid rangeland. Richard’s work is using a systems approach in developing land and livestock management practices that sustain natural rangeland resources and the people that depend on the land. His goals are to a) broaden the understanding of requirements needed to sustain rangeland resources and economic viability, and b) generate science based information to allow producers to improve management practices on rangeland. Kristine is the Chief Scientist at the Rodale Institute—a non-profit dedicated to organic agriculture research and outreach. Kristine is a leader in the study of healthy soil biology, particularly of mycorrhizal fungi that form symbiotic associations with the roots of vascular plants. Her previous work was as Research Soil Microbiologist with the ARS/USDA Agricultural Research Service. Kristine’s professional achievements have focused on the impacts of cropping and grazing systems on soil microbiology, nutrient cycling, and soil aggregation to improve soil health and water quality. She is the recipient of the 2012 International Soil and Water Conservation Society Conservation Research Award. Will Raap is founder and chairman of Gardener’s Supply, an employee-owned family of companies that has won several national and regional awards for its innovative business and socially responsible business practices. He also founded the Intervale Center, a community farming innovation center and incubator of dozens of new organic farms. Currently Will is working on several environmental restoration initiatives in Vermont and Costa Rica. One, with The Earth Partners develops “conservation biomass” and restores soil carbon globally. Another, with Restoring Our Watershed in Costa Rica is committed to reclaiming the health and resiliency of critically damaged or threatened natural areas. 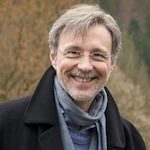 Thom Hartmann is a progressive national and internationally syndicated talkshow host whose shows are available in over a half-billion homes worldwide. He is the New York Times best-selling, 4-times Project Censored Award winning author of 24 books. Leonardo DiCaprio was inspired by Thom’s book The Last Hours of Ancient Sunlight to produce the feature documentary The 11th Hour. His evening TV program, The Big Picture, is available in over 600 million homes in 104 countries by the RT TV network, and distributed worldwide on Hulu. Thom’s lifetime of philanthropic endeavors have included work for Salem International, the New England Salem Children’s Village, and the Hunter School for ADHD kids. His book Rebooting The American Dream inspired Senator Bernie Sanders to deliver of the book to his 99 colleagues in the United States Senate. 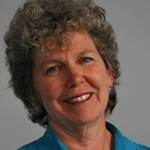 Lyn Davis Lear is a social and political activist and philanthropist whose main passions are the arts and the environment specifically related to climate change. 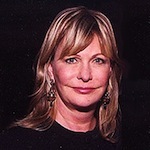 Lyn is the Director of Special Events at Act III Communications, a member of the Board of Trustees for the Sundance Institute, and co-founder of the Environmental Media Association (EMA), a nonprofit organization created to inspire, educate and coordinate responses to global environmental issues in television, films, and throughout the media. Lyn has repeated been recognized for her achievements. In 2005 the Honorable Al Gore presented her with the Ongoing Commitment Award on behalf of the Environmental Media Association. In 2008 Ms. Lear was given the Global Green Millennium Award for Entertainment Industry Environmental Leadership. 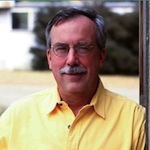 A former archaeologist and Sierra Club activist, he co-found the Quivira Coalition to build bridges between ranchers, conservationists, public land managers, and scientists around “land health.” Courtney’s work with Quivira focuses on building economic and ecological resilience on working landscapes that emphasize carbon ranching and the new agrarian movement. Courtney is author of four books: Grass, Soil, Hope: A Journey Through Carbon Country, The Age of Consequences: A Chronicle of Concern and Hope, Revolution on the Range: The Rise of a New Ranch in the American West, and In the Land of the Delight Makers: An Archaeological Survey in the American West. 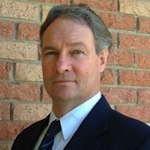 His writing has appeared in Farming, Acres Magazine, Rangelands, Natural Resources Journal, and Solutions. 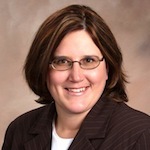 Betsy Taylor is the President of Breakthrough Strategies and Solutions. She is the founder and former President of the Center for a New American Dream; Co-founder and Board President of 1Sky Education Fund; Board member of the Coalition for Environmentally Responsible Economies (CERES), Town Creek Foundation, Ottinger Foundation, and Garrison Institute; and former Executive Director for the Merck Family Fund, Stern Fund, and Ottinger Foundation. Betsy is the author of What Kids Really Want that Money Can’t Buy and co-editor of Sustainable Planet: Solutions for the 21st Century. She received her M.P.A. from Harvard University’s Kennedy School of Government and her B.A. in psychology from Duke University.